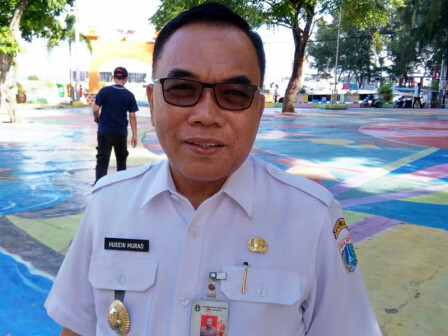 Jakarta Thousand Islands Regent, Husein Murad wants Bahtera Jaya Pier in East Ancol, North Jakarta to be the main entrance gate for tourists to go to Thousand Islands.
" We decide Bahtera Jaya Pier to be the icon of Thousand Island entrance gate"
All this time, tourists can go through Marina Ancol Pier or Kaliadem Pier to reach Thousand Islands. But road access to those piers is not optimal. Access to Kaliadem Pier is also considered not representative as a main entrance gate of Thousand Islands. Thus he recommends Bahtera Jaya Pier that has better access to be the icon for Thousand Islands' entrance gate. "We decide Bahtera Jaya Pier to be the icon of Thousand Island entrance gate. Maybe the name can be changed into Thousand Islands Pier thus it becomes clear for people, especially tourists, regarding which pier to reach Thousand Islands," he stated, Wednesday (4/10). For information, Thousand Islands is recently designated as National Tourism Strategic Area (KSPN). Thus both central and local governments should make comprehensive efforts to build Thousand Islands to be a tourism destination that can be proud of. Jakarta Council (DPRD) Vice Chairman, M. Taufik is also agreed with Husein Murad's statement. "I hope this new entrance gate can increase number of tourists who visit Thousand Islands," he conveyed.